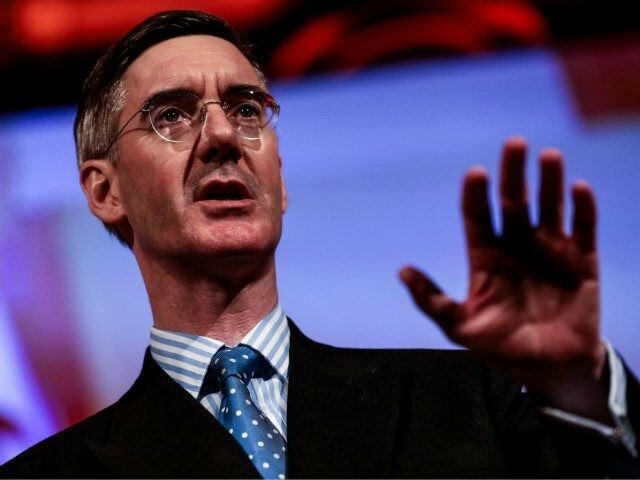 The BBC has attacked Jacob Rees Mogg-for the alleged crime of quoting a stirring speech on Brexit by the co-leader of Germany’s AfD party. I mention this storm-in-a-teacup for two main reasons. But I’m afraid, through gritted teeth I’m going to be forced to say it. I was right, wasn’t I? I was bloody well right! I told you to keep your nerve and that a No Deal Brexit was where we were headed. But many of you didn’t believe me because you were too busy running round like headless chickens and throwing your toys out of your prams and yelling at me for being taken in by the beguiling words of Tory toffs. President Trump really couldn’t have picked a better moment for his first official visit to the United Kingdom. He likes a fight and when he steps off the plane in South East England tomorrow he’ll walk straight into the biggest brawl since Brexit. Britain is in turmoil. Democracy is at stake. And rather than do the polite, mimsy, diplomatic thing, Trump has already rolled up his sleeves and weighed into the fray by coming out on the side of Team Brexit. Team Brexit, as I reported yesterday, is currently being led by Boris Johnson – the most senior politician to reject Prime Minister Theresa May’s despicable Bremain sell-out by resigning as her Foreign Secretary. Trump’s intervention will have given a huge boost for Boris, who at that stage was looking fairly isolated. Sure his cabinet colleague David Davis and a few other Conservatives had resigned too. But most of the Cabinet, including leading Brexiteer Michael Gove, had expressed their loyalty to the prime minister. So it looked as if a Brexit coup might have been averted, with Boris left flapping like a beached basking shark. Since then though, the forces of Brexit rebellion have swollen. 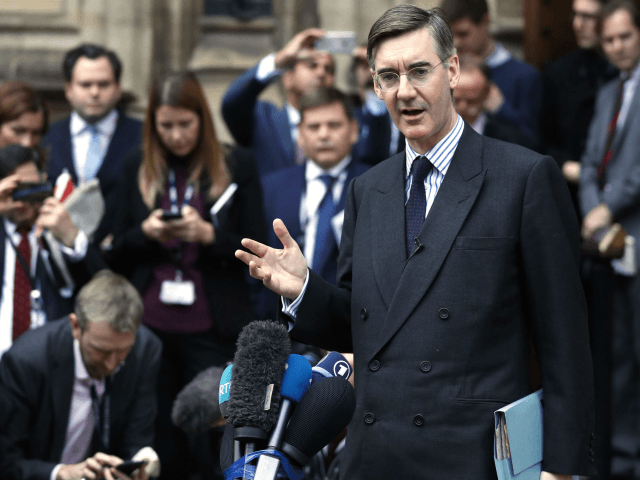 They now include Brexit’s kingmaker Jacob Rees-Mogg who, in alliance with fellow backbench Brexiteers, has lodged four amendments which should kill Theresa May’s proposed EU trade bill stone dead. Though the two men are oceans apart in terms of style and personality – the Jacob being the quintessential English gentleman; the Donald not – what they both possess in spades is the most extraordinary, winning frankness. They would, I’m sure get on like a house on fire. Indeed, with a fair wind, they would make the greatest U.S. president/UK prime minister double act since the era of Ronald Reagan and Margaret Thatcher. That’s because they tell it like it is. In common with Thatcher and Reagan, they are not afraid that speaking their mind might get them into trouble. They genuinely believe that what they have to say is right and true. So why would they need to hide their views behind a wall of obfuscation or virtue-signalling cant, like all the beta politicians do? 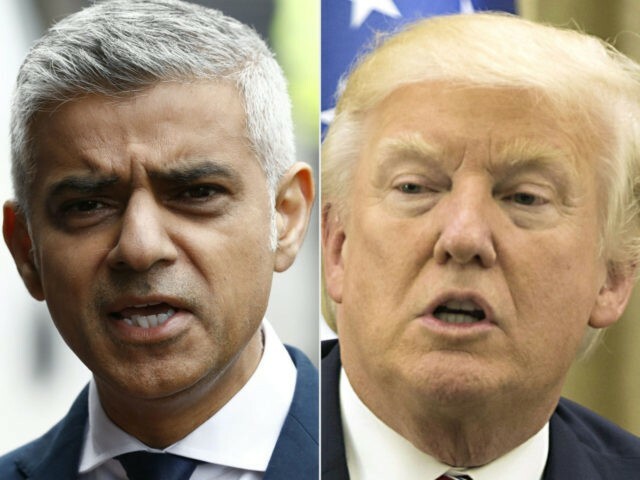 President Trump has offended pretty much the entirety of Britain’s political and media establishment up to and including the Prime Minister, the Mayor of London and the Archbishop of Canterbury. As a result, the Special Relationship is once more in jeopardy, and Trump has decided to cancel a planned working visit to the United Kingdom. In a moment I shall explain why the president is right and his critics are wrong. But first a brief recap of what the fuss is all about. Trump’s critics objected violently – or so they have publicly claimed – to three of his Twitter retweets. These retweets showed videos, purportedly of members of the Religion of Peace (TM) behaving less than peacefully. One depicted a bearded Muslim destroying a statue of the Virgin Mary. One showed an Islamist mob pushing a teenage boy off a roof and then beating him to death. One showed a white Dutch boy on crutches being gratuitously beaten up by a man described in the video caption as a “Muslim migrant”. Prime Minister Theresa May; Mayor of London Sadiq Khan; and many other politicians professed themselves to be appalled by this. As was BBC news, which made this horror its lead story. With his surprising appeal to teens and millennials, Jacob Rees-Mogg could be the perfect antidote to Corbynism. This ought to make no sense at all. If there’s one lesson the Conservative party’s strategists have learned from Jeremy Corbyn’s performance in the polls — at the time of writing he has an eight-point lead — it’s that Britain has had enough of conservatism. Actually, the word they use is ‘austerity’ but it amounts to the same thing. So widespread is the panic in the party that even its more fiscally responsible luminaries are coming round to the idea that, from university tuition to the NHS, the only way to beat Corbyn is to talk and spend like socialists. Read the rest at the Spectator. David Cameron has said he thinks schools should teach mainly in imperial measurements rather than in nasty, foreign, and undeniably French metric. Funny that. It’s almost like he’d had spies at the rowdy Conservative conference fringe event the night before – staged by smokers’ rights campaigner Forest and Conservatives for Liberty – where I raised this very topic in a speech on Europe. I noted the irony that even though we defeated Napoleon in 1815 and Hitler in 1945 we still seem to have inherited half their policies all the same. From Hitler, inter alia, we got the clampdown on smoking and the obsession with environmentalism. From Napoleon, among other things, we got the metric measurement system – despite the fact that most of us continue stubbornly to think in pints and miles rather than half litres and kilometres. Prime Ministers don’t make these casual asides by accident. Clearly, what’s going on here is that Cameron has been advised to chuck a few gobbets of red meat to the more reactionary wing of the Tory party: to the kind of people, in other words, who feel badly let down by four years of Cameron’s dogged centrism and who are now sorely tempted to throw in their lot with UKIP instead. We heard similar right-wing mood music in Chancellor George Osborne’s speech yesterday: the freeze on benefits; the emphasis on tax cuts rather than spending rises; the renewed commitment to tackling the deficit. I was reminded of the chats Osborne and I used to have in the playground when our children were briefly at the same school together. “Just you wait till we form a majority government: then you’ll see what real Tories we are…” he used to say. As a natural small ‘c’ conservative, I have little problem with this rightwards turn. (Though I think this imperial stuff is forgettable nonsense: yes it’s all jolly and jingoistic but let’s get real – the 30cm ruler is here to stay and it’s not like we’re going to go back to pre-decimal currency). But let us not be under any illusions as to why this is happening. It is not because the Cameron claque has suddenly realised that they were right-wing all along and that actually, come to think of it, they really do believe that the state has got far too big and that we’d all be better off outside Europe. It’s because their minds have been concentrated by opinion polls showing that, thanks to UKIP splitting their vote, the Conservatives are on course to lose the next election to Ed Miliband’s socialists.